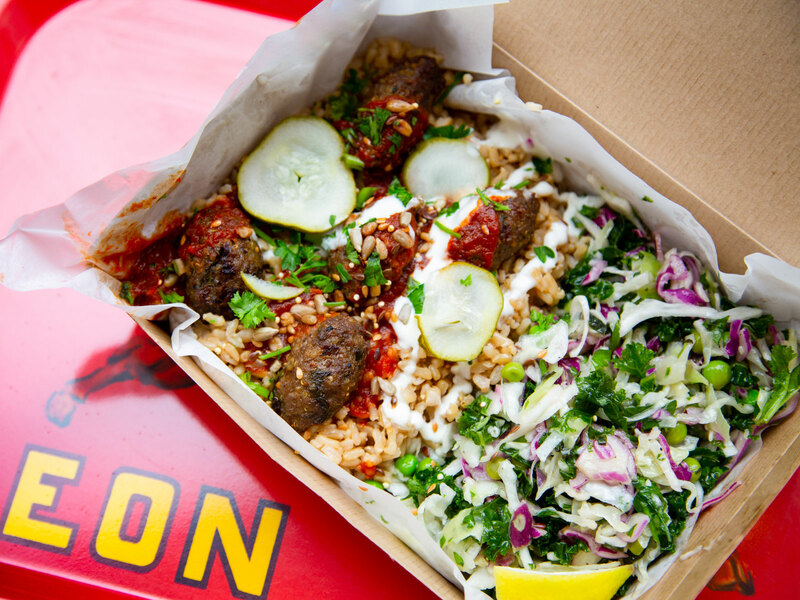 Leon is pitching its healthy brand of British fast food to Americans, and we are completely on board. Not so very long ago, Leon was just a tiny little counter service restaurant at the gateway to London's touristy Carnaby Street, out there on the fashionable fringe of Soho, which at that point was still ever-so-faintly bohemian. At a time when finding a decent dinner on the fly was much more of a challenge in London than it is now, Leon was an unlikely beacon of hope, a place where people who were trying to keep it together, or at least those aspiring to try, could pop by for earnest, if slightly unrefined salads, crammed with superfoods (and a surprising amount of peas, because England), or heartier but still healthy dinners in cute little boxes, better-for-you drinks and the like. These days, much less so, but at the time, Leon felt like something quite revolutionary, and while it could well have all been a masterful work of deception, the restaurant vibed like a well-meaning one-off, and the very large crowds of people that walked over there at lunch time quickly led to expansion and growth, and like so many other good ideas in London, Leon was suddenly everywhere you were at lunch time. Nowadays, you can find Leon far beyond London—step off a train in any number of United Kingdom cities, and you'll find yourself presented with the option of Leon's famous Moroccan-spiced meatballs, served with brown rice and a salad, or perhaps a lamb kofte, or sweet potato vegan falafel, or a delicious and affordable mezze combo—all typically under $10, and that's after the rarely favorable exchange rate. Where to, next? The United States, it turns out. 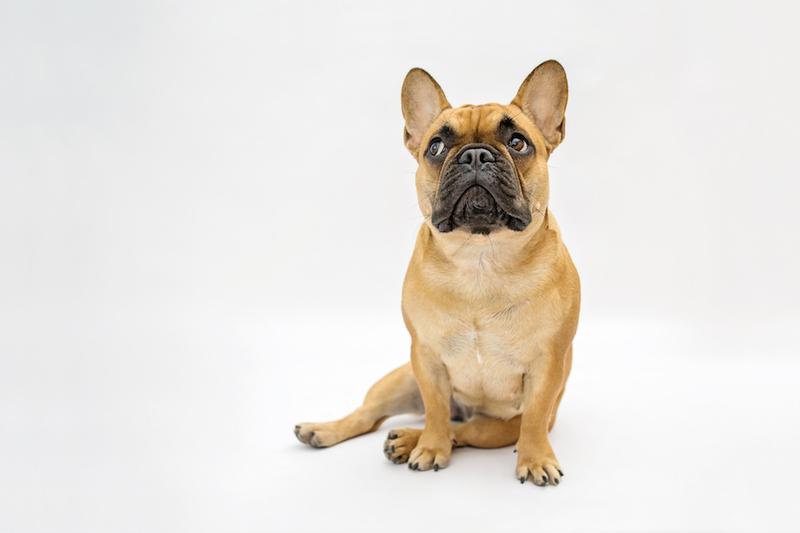 A generous round of funding—millions of pounds, actually, it's a lot—came through last year, and Leon opened its first location on our shores, in Washington, D.C., not far from Farragut Square, practically across Connecticut Avenue from the Mayflower Hotel. Sitting unobtrusively next to a Starbucks, mid-block, practically penned in by multiple branches of Pret A Manger—another United Kingdom import—Leon beckons, with its brightly lit, and tastefully appointed interior, that trademark sign, and their famous-over-there "Naturally Fast Food" come-on. But will the lunch crowd come? On a very recent afternoon, the restaurant was relatively quiet; the freshly-minted staff were eager to please, and the food was exactly what you'd expect if you are already a fan of Leon, and probably somewhat surprising to anyone who isn't. The menu is its same old, quirky by American standards self—you can do those meat, rice and salad combos, you can do wraps, and sandwiches, that is you like having everything laid out for you, or you can go rogue and pull together a meal of delicious snacks; a generous portion of hummus comes for $2.95, there are floppy, chewy flatbreads available for a buck or so, you can order a goodly portion of well-dressed kale slaw for $2.50, or even a cup (over there, they call them pots) of roasted chicken for $4.50. There are hits, and there are misses. In the former camp you will find halloumi cheese, which has a considerable presence on the menu, making its way into a terrific burger, griddled and placed atop a giant Portobello mushroom cap, with peppery arugula, and a spicy aioli, on a very good bun—an imaginative vegetarian burger, something we could certainly use more of, around here. Then there are the house sodas, presumably all good for you, but every flavor tastes like it's halfway there. Anglophile or no, breakfast will likely end up being a star, if not the star, of the Leon show—there are pots of porridge, one of them topped with fruit compote and almond butter, avocado smashed on to toasted English muffins, as well as other less virtuous (or trendy) sandwiches, however, it seems as if many of those are premade, which can lead to disappointment, depending on how long they've been sitting around waiting for you to show up. You're far better off with Leon's nearly full English breakfast, offering bacon, sausage, beans, roasted mushrooms, two poached eggs, and sliced avocado, or at the very least the potted breakfast, essentially a sampler of the same offering, sans avocado, just in case you need to race down the street eating sausage and bacon and beans and poached egg from a cup—no judgments. 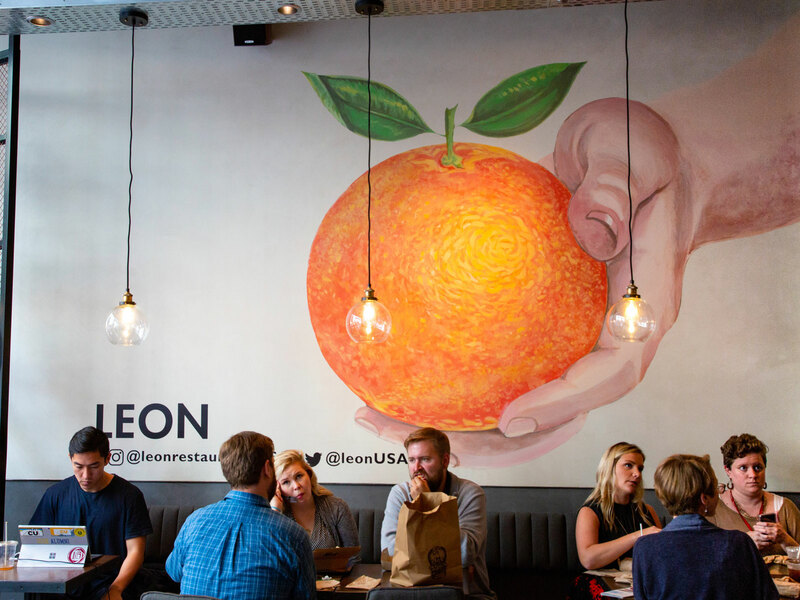 Where we go from one Leon location in one particularly chain-saturated corner of Washington, D.C. is still something of a guess; the food is, on balance, quite good—think of Leon as a more worldly, less macaroni and cheese-obsessed Panera Bread, with extremely competitive prices; besides the affordable a la carte options, there are also mini-meals (a hearty, Brazilian-spiced black bean stew and brown rice combo, for example) offered for only $4.95 a go. Having more of this kind of fast food could only be good for America. Let's hope America bites.